Through one Generic and five specific Training of Trainers, mentoring and support, the NALAS project Local Leader of South-East Europe: Lead for Change (LL SEE) created a pool of 33 trainers in water and waste water management issues and developed a training scheme with high quality standards in each phase of training preparation and delivery, that now ensures excellence in training providing for local governments and public utility companies in South-East Europe. Results-based strategic program planning and management. 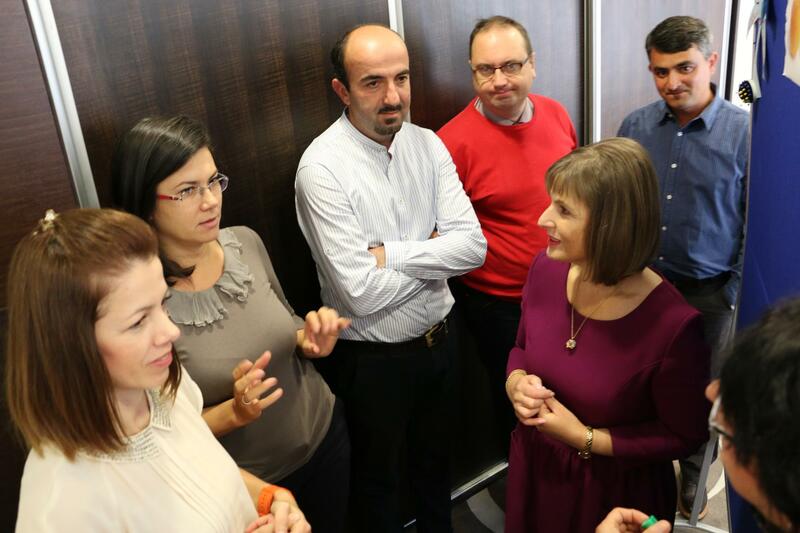 In the spring 2016, NALAS member LGAs from the four project countries: Croatia, Serbia, Bosnia and Herzegovina and Macedonia prepared and implemented nine national trainings, with 157 trainees. Participants expressed a great satisfaction with the trainings, evaluating them with an average point mark of 5.6 (out of 6), stating that the trainings greatly contributed to enhancing their competences in managing communal services and preparation and implementation of investment projects. Now, it is the time to reflect on the work done and set the stage for the future. 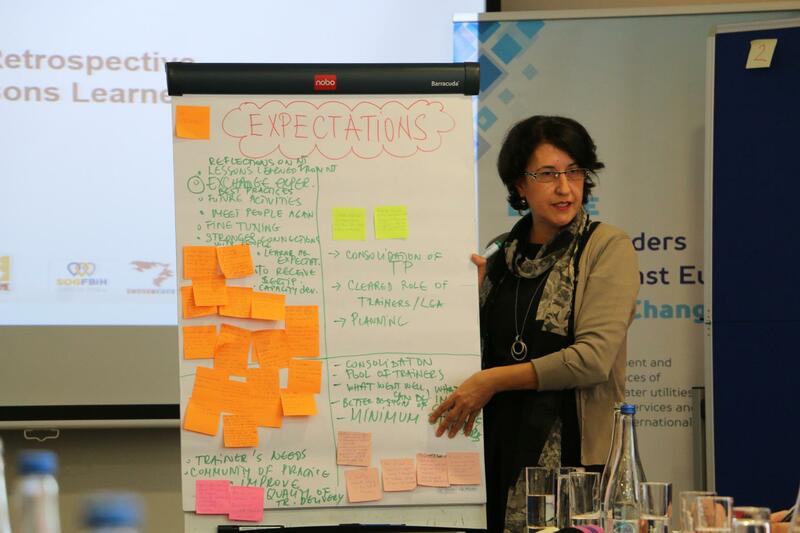 The trainers met in Belgrade, Serbia on 22 and 23 September 2016 at a regional workshop for providing a retrospective, consolidating lessons learned and discussing the perspectives. The trainers shared their experience in delivering the trainings and practically applying the knowledge gained during the ToTs. 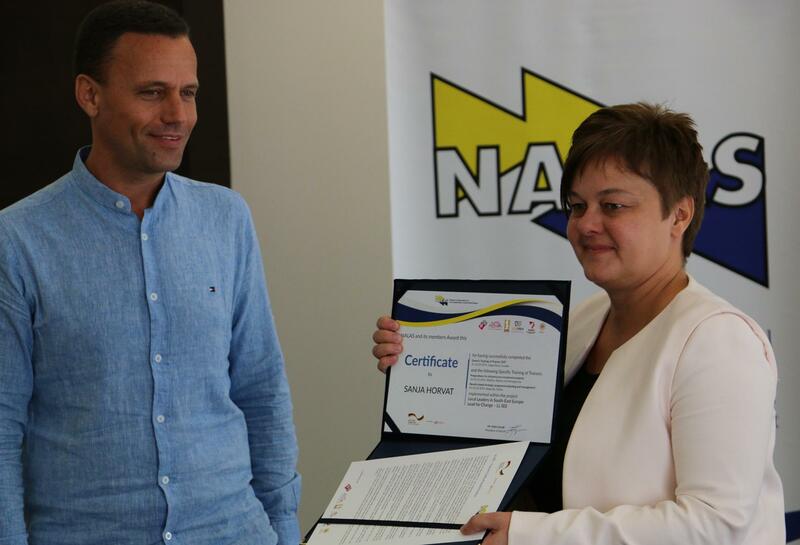 Participants also received certificates for their participation in the Training of Trainers cycle. The project "Local Leaders in Southeast Europe: Lead for Change" is supported by the Deutsche Gesellschaft für Internationale Zusammenarbeit (GIZ).